Sunshine Toyota on the Sunshine Coast | Sunshine Coast | All-New Toyota Supra Is Coming! 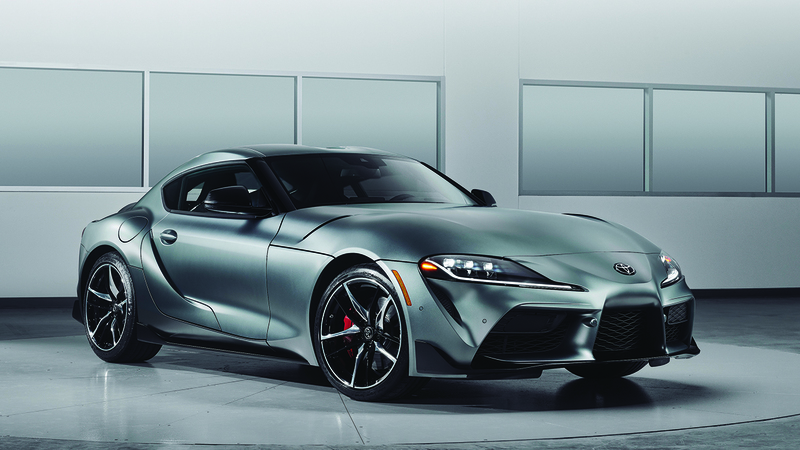 The exciting all-new Toyota GR Supra is the fifth generation of Toyota's legendary sports car and is due to hit the Australian market in very limited numbers, late 2019. Conceived as a sports car in its purest form, the new Toyota GR Supra builds on the heritage of Toyota's past Supra generations and the 2000GT sports car with its classic layout of a front-mounted, straight-six engine driving the rear wheels. Sunshine Coast driving enthusiasts can look forward to an exhilarating blend of power, agility and precision handling, achieved thanks to the car's combination of a short wheelbase and wide track, light weight, low centre of gravity and highly rigid body. The 3.0-litre engine will have a twin-scroll turbocharger that produces 250kW and 500Nm of torque! Coupled with an eight-speed automatic transmission, it is characterised by smooth and powerful acceleration, with large amounts of torque available across the full range of engine speeds. What is really impressive is the Launch Control function that enables powerful acceleration from a standstill with maximum traction, helping the car move from rest to 100 km/h in just 4.3 seconds making it the quickest Toyota-branded production vehicle ever! The driver can take control of gear changes using paddle shifts on the steering wheel and can select Normal or Sport driving modes to suit their preference and the conditions. The driver's cockpit was influenced by single seated race cars to keep the driver at the centre of the action allowing the driver to focus entirely on driving. A low, slim horizontal dashboard maximises the forward view through the windscreen. The principal controls are tightly grouped for quick and easy operation. The instrument panel, centre console and door trim combine in a seamless design that gives the cockpit a strong, unified feel. 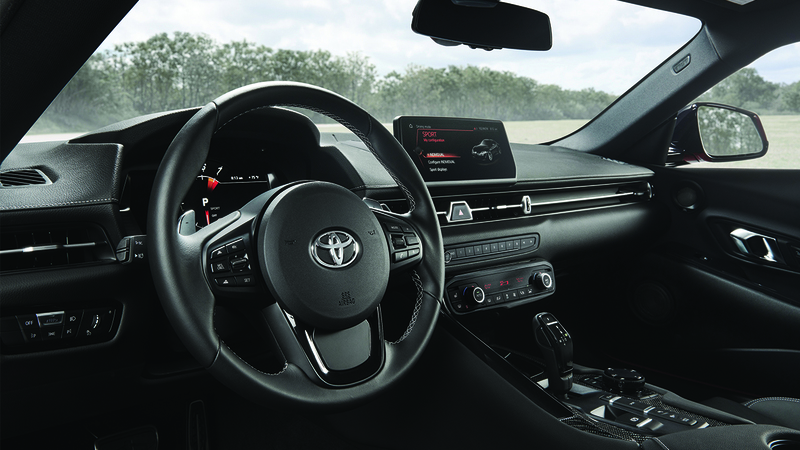 An asymmetric centre console marks a clear division between the enveloping driver's cockpit and the more open passenger side of the Toyota GR Supra's cabin. The new Toyota GR Supra's seats have a racing-influenced design that ensures comfort at all times and excellent support, in particular, if the car is being used on-track. Body-holding side bolsters are featured on the cushion and the high back and there is an integrated head restraint. For more information, or to register your interest click here.